Kerala is the most sought after Backwaters Tour India : Kerala is one of the few places in the world blessed with abundant natural beauty. For centuries, backwaters have been used for all transportation needs, especially for trade in coconut, rubber, rice and spices. Today, these waterways link remote villages and islands to the mainland and nerve centers of the coastal area. A cruise in the beautiful Kerala backwaters is a dream for many. 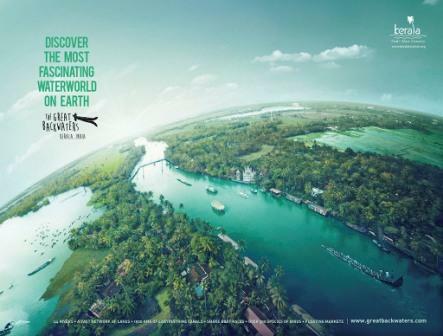 No wonder Kerala got her place as one of the 50 must visit destinations by The National Geographic Traveler. Kerala Backwaters are a chain of canals, lagoons and lakes lying parallel to the Arabian Sea coast of Kerala in Southern India. The network includes five large lakes linked by natural and man-made canals, over 38 rivers, spreading nearly half the length of Kerala State. The Lake Vembanad is the largest backwater stretch in Kerala. It opens out into the sea at the Kochi port and flows through three districts-Alappey, Kottayam and Kochi. The Ashtamudi Lake, the second largest lake in the state, has eight 'arms' covering a major portion of Kollam district. A journey in the traditional houseboats, popularly known as kettuvalloms, along this tranquil backwaters, is an exclusive experience of every traveler to Kerala, and hence Kerala is more associated with her backwaters, which is unique to this enchanting land. Though these houseboats are traditional in type, they are provided with modern facilities, to make your backwaters tour India vacation a reality. During a joyful boat trip from Kollam to Alappuzha lasting about 8 hours, one can see the delights of Kerala`s backwaters, including the famous `Cheena Vala` or Chinese Fishing Nets , as the journey passes through lakes, canals and water-bound villages. Usually the boat journey is at low speed on the backwaters enabling you to see the gently changing scenery along the network of waterways to observe local villagers and workers going about their daily lives. You may see the children laughing as they smile and wave at you from the riverbank. Sometimes you can see the cranes catching fish and going away, and sometimes you may see the locals moving in small boats and catching crabs. You can also see the locals travelling to another village in the boats. One can experience the tranquility and peace of its Backwaters during such a cruise, which no amount of words can explain. A backwater journey in Kerala is one of the most rejuvenating, enchanting and unforgettable experience that one could have in this wonder land. 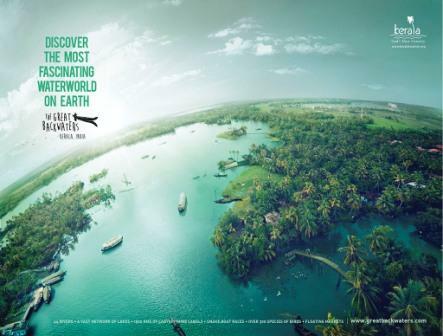 Kerala backwaters are the most popular destination for both domestic and foreign tourists. Another great attraction of the backwater is the Snake Boat Race, featuring the 130-feet-long chundan boats. The most famous two Snake Boat Races are Nehru Trophy Boat Race on the second Saturday of every August and the Aranmula Race which is connected with Parathasarathy temple festival on the banks of the holy River Pamba. The boat carnival starts on the day of Thiruonam, the most auspicious day of the Kerala festival, Onam. 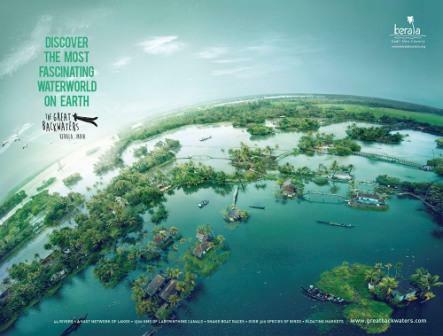 Backwaters Tour India is attracting tourists from all over the world. Apart from the backwaters, other equally beautiful water bodies in Kerala are Veli (in South Kerala), Kadinamkulam, Edava, Anjengo, Peravur, Madayara, Ashtamudi, Kodungalur, Kayamkulam, Chetuva and Valiyaparamba (in North Kerala).